It has been said that a scar from the War would show how mighty a soldier is. I am proud of giving birth to two wonderful cute kids but I'm just too much of a girl to be proud of my CS scar. Goodbye bikini's, goodbye low waist jeans and cute little tops that show your belly. I don't have the money to actually get this somehow laser treated or somewhat to get it erased. So me being the frugal mom has been trying to look around for a product that would at least make my scar a little more 'presentable'. 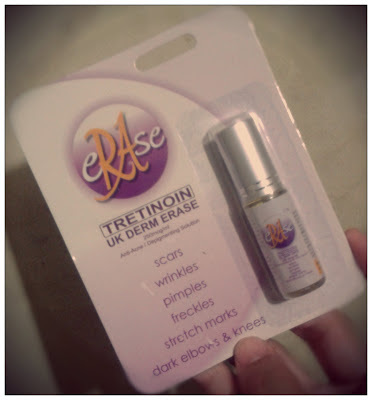 Going around Isetann Recto with my good Long distance buddy Lorraine mind you we were like rabbits that got out of a cage that day, we stumbled upon Erase, a product that supposedly help improve the appearance of scars. In my brave attempt, I shall venture and try out this very intriguing product and hope that it will do good and will give it a review once I get a result.